Rainbow Gospel Hour on CD From Kendra Steiner Editions! FOR YEARS, Reverend Raymond Branch of the Heavenly Rainbow Baptist Church in South Los Angeles spent Sundays after services traveling to local rest homes and hospitals. Together with his wife Jean, they’d sing and pray, offering comfort and fellowship as they visited as many forgotten members of the community as the day allowed. 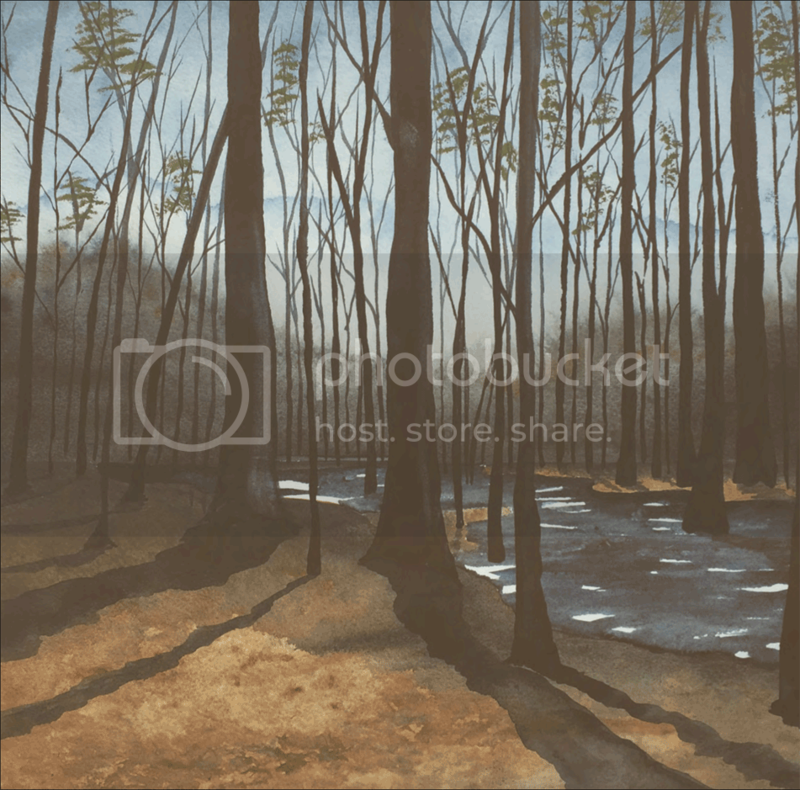 Feeling called to do more but unsure how, inspiration struck when Rev. Branch noticed the one thing each of the people they visited kept at their bedside: a radio. At first, the show was recorded live in the KTYM studio, where he was usually accompanied by Jean. “She would be with me when I’d be (rehearsing) at the house, before we went to the studio. Then, when we were at the studio, she’d be right there singing.” When the late-night schedule began to take a toll, they switched from live to prerecorded programs, with Rev. Branch providing cassette tapes to the station. A barber by trade—and for decades concurrent with his community service, a barber by profession—Rev. Branch endeavored to keep business separate from his ministry, and today he remains a man of modest needs. A place of refuge, not judgment or dogma, the Heavenly Rainbow has always handed out more than it’s taken in, and Rev. Branch has never sought tax-exempt status for himself or the church. 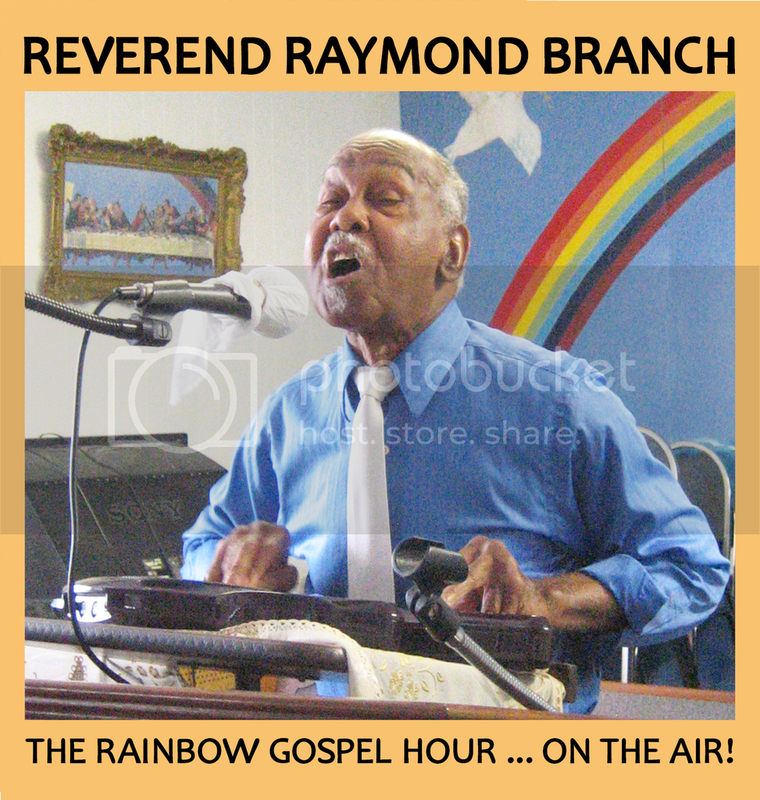 Though the Rainbow Gospel Hour enjoyed occasional sponsorship by local businesses over its four-decade run, most of the show’s broadcasts were financed entirely by Rev. Branch. He put the shows together working with what he had. Initially a guitarist, he’d plug in and play and sing into a dual cassette boom box’s built-in mic, sometimes joined by Jean (she can be heard accompanying her husband on “It’s No Secret What God Can Do” and “Milky White Way”), sometimes joined by guests and members of his small congregation (“the faithful few”). He’d piece each show together on cassette and submit it for broadcast. Then he’d reuse those cassettes, using the dual deck to cut in and out, sometimes abbreviating and lengthening performances by recording new verses onto the tape, patching in relevant announcements and prayer requests by taping over outdated ones, and dropping in performances from other tapes. No masters were preserved, and tapes might be reused this way again and again over the years, resulting in sonic irregularities, volume jumps, and bleed-through mutations that, over time, became part of the aural texture of the broadcasts. While some adjustments have been made for this release in order to provide a consistent listening experience, this disc provides an otherwise accurate presentation of the broadcast as it aired. The program saw changes in Rev. Branch’s choice of instruments during its long history. The Omnichord introduced a traditional church organ sound to his recordings, but around 1997, a neighbor expressed interest in learning to play it. Rev. Branch passed down his Omni, and replaced it with a QChord, a similar instrument that lends an ethereal character to his music. This disc includes music from each of those periods. “I fought for Roland. A lot of guys tried to fight Roland; he couldn’t fight good, physically. I was a fast fighter. Even when I wasn’t sure I could whip ’em, I’d whip ’em anyway! When somebody messed with him, he came to me. I took care of him. That’s just how close we was. “Roland always wanted to be a preacher. He was raised by his grandfather; his grandfather was a minister. When he came to California, I had been here two or three years. I left Louisiana and came here in 1949. Roland came here about ’52 or ’53. “He always went to other churches. I believe that Roland was thinking that I was trying to be a preacher because he was trying to be a preacher. “He should have been a minister when I became a pastor, but he didn’t come and work with me. He had got to a place where he was doing sinful things. I’d call him out about it, and he’d get shook up. That’s why he and I weren’t as close as we should have been, later. The Rainbow Gospel Hour ceased broadcasting in 2014, when KTYM was sold and a format change was announced. Despite the program’s historic four-decade run, the broadcast ended without fanfare. Attendance at the Heavenly Rainbow has fallen off, as former congregants pass on or shift allegiances to bigger, glossier houses of worship that now dominate the landscape. But Rev. Branch’s commitment to his ministry remains undiminished, and he maintains daily hours at the church building while continuing to offer a musical service each Sunday, where all are made welcome. Twice a widower at 85, times are tougher than ever for Rev. Branch. But it’s never an easy road for those who choose to sincerely heed the call to service, and Rev. Branch has known tough times since he was a child on Bayou Black. * From the hymn, “If I Can Help Somebody” and quoted by Martin Luther King Jr., in his sermon “The Drum Major Instinct,” delivered at Ebenezer Baptist Church in February 1968. 11. Is It Well With Your Soul?